Being a lady is hard. From haircare to skincare to dental care there is always something that can be plucked, glossed, or whitened. Throw kids, dogs, work, household chores and significant others in the mix and most of the time, we run out of time to take care of ourselves. 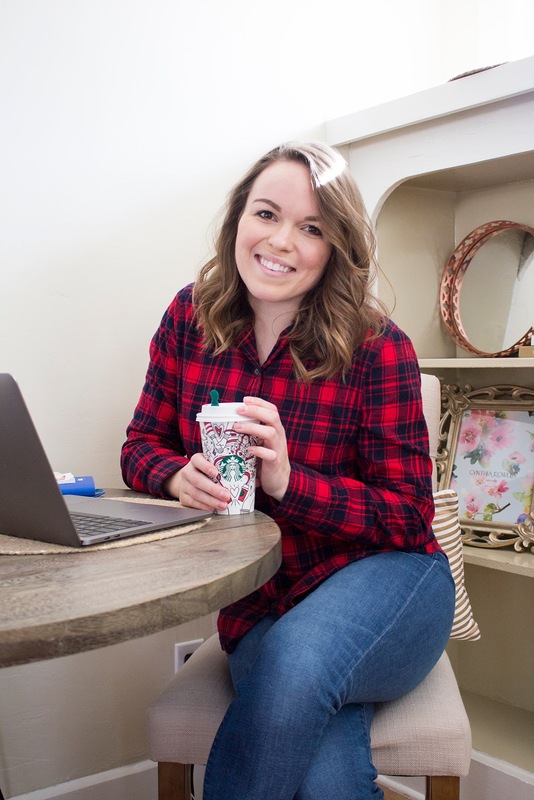 Here’s the thing, just because I’m a very busy wedding planner, dog mom, and master cleaner of all household chores, doesn’t mean that I’m throwing in the towel when it comes to pampering myself. There are products that can make our lives easier...like Smile Brilliant. What is this you ask? 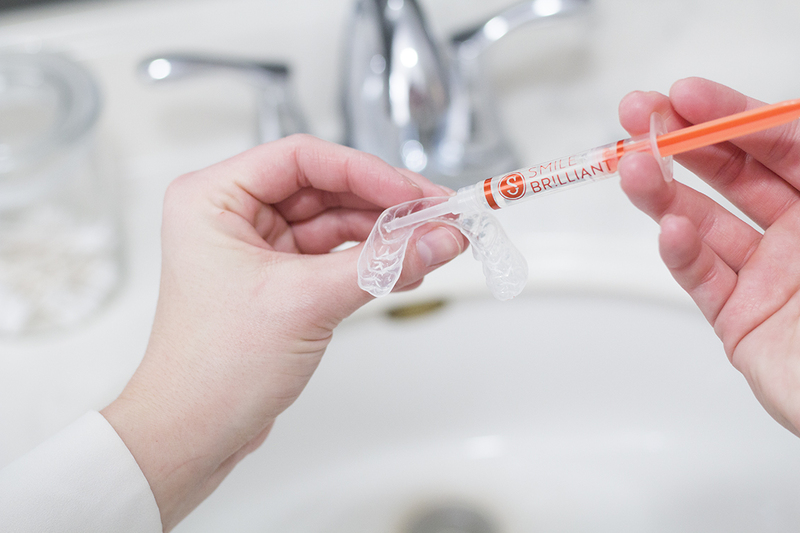 Only the easiest at-home teeth whitening kit that actually whitens and brightens your smile. I'll admit it, I drink coffee, indulge in the occasional soda, and eat products that stain and yellow my teeth. It can definitely be embarrassing to have a smile that is "not your best" - especially if you are always working with people! I've tried whitening strips you can buy at the store and the toothpaste that claims to whiten your teeth and neither of those worked (or worked well in may opinion). And I definitely can't afford those expensive whitening treatments at the dentist, not to mention, have the time for them. 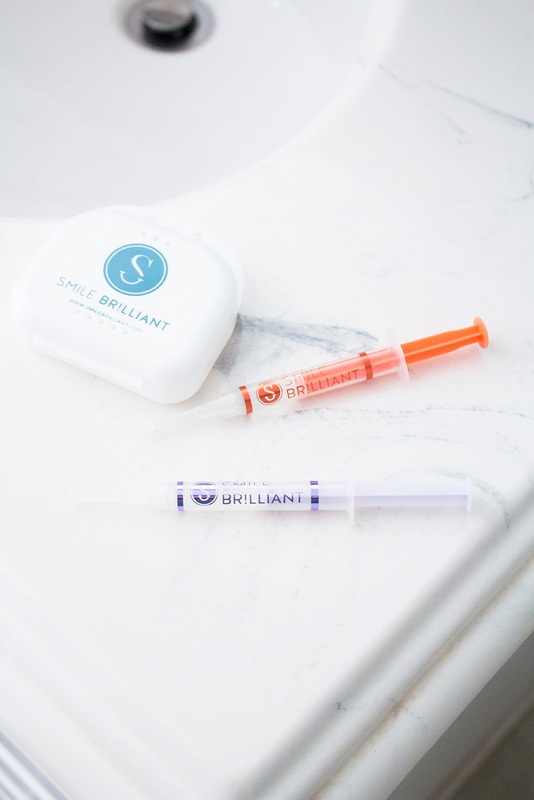 I needed something convenient and cost effective, so I decided to try Smile Brilliant. 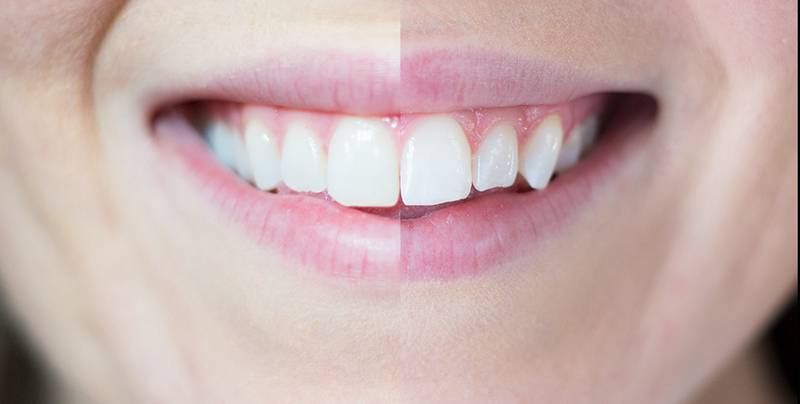 Smile Brilliant is a company that developed a way for you to whiten your teeth at home. It works by you molding impressions of your top and bottom teeth in just 15 minutes and sending those impressions into their lab. Once at the lab, their scientists craft exact models of your teeth into trays. These trays are shipped back to you along with the whitening gel, and in my case, the desensitizing gel, for you to use! After the first treatment I was incredibly shocked at how white my teeth were. The next two, then three, then five treatments were even better. The absolute best part about these trays is that I can multitask, I always try to use them in the late afternoon or before bed. 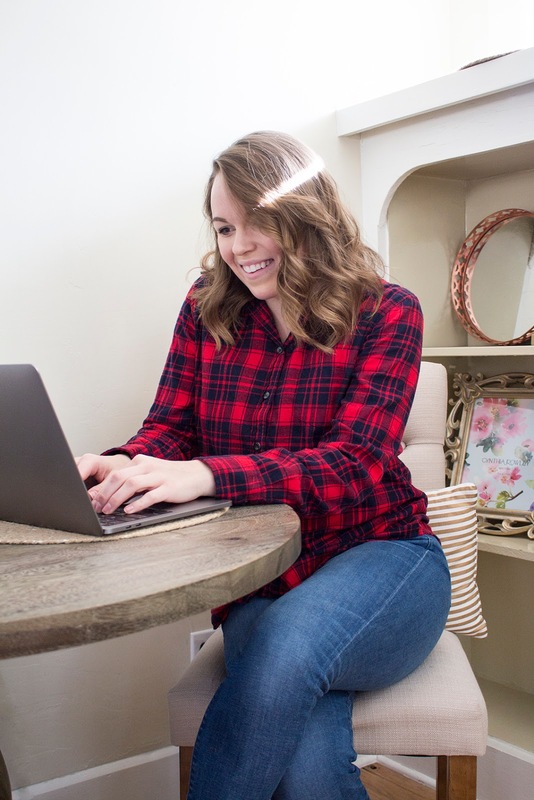 Whether I'm blogging, working, outside with the pups, or cleaning the house my teeth are whitening too! While my teeth were never incredibly stained or yellow (I take dental care very seriously), they became significantly brighter and whiter with Smile Brilliant. I'm in the business of making people smile, so it only makes sense that my smile is bright and white! Some of you may have questions in regards to how the products work, if it makes your teeth sensitive, etc., so be sure to check out their FAQ page to read more. I was worried about sensitivity but have been fortunate to not have any! I use the trays anywhere from 45 minutes to an hour and a half followed by the desensitizing gel for 15 minutes. This seems to be the winning combination for me. I can truly say that I am incredibly confident about my smile since I started Smile Brilliant, and you should too! It's just in time for the holidays and the perfect time to start perfecting your smile. **You can also use the code: taymeetsworld10 for 10% off your next Smile Brilliant purchase!